New Gallery Exhibit "Through the Glass"
This is an exhibit of Tracy's new body of work in which she brings glass to life. Her compositions include the simplicity of common objects yet her intricacy of technique & process leave you wondering how it could possibly be paint. 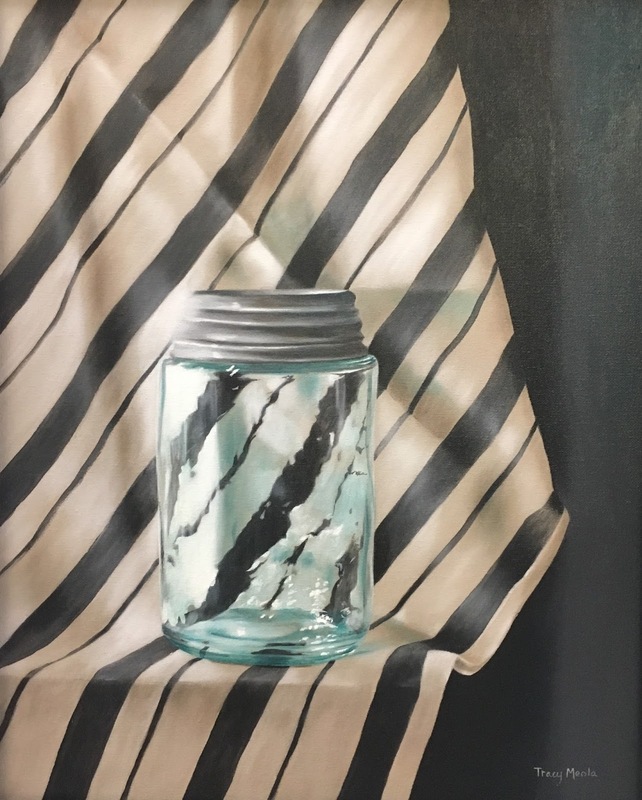 Her execution of transparency allows the viewer to see "Through the Glass." Tracy uses her own adapted technique of lightly layering fluid acrylic paint with the use of water, which gives her paintings a soft blended look. Her paintings can have twenty or more layers of paint on them but still look soft and smooth. Come and see them for yourself.